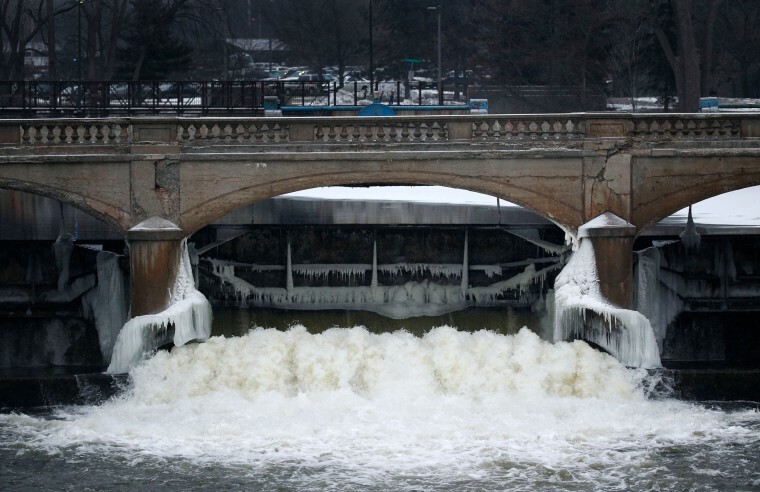 Michigan's legal bills for the man-made water crisis in Flint are piling up. At least $14 million has been spent hiring lawyers from at least 33 law firms, according to an Associated Press analysis of state records. Costs are only expected to balloon as Attorney General Bill Schuette's outside team of two-dozen attorneys and investigators turns toward prosecuting a dozen current or former state employees or appointees whose criminal defenses are being covered by taxpayers. "The millions spent on legal fees could be used to save people from losing their homes and ensuring safe water for everyone," said Senate Minority Leader Jim Ananich, a Flint Democrat. "Instead taxpayers are stuck picking up an even larger tab for a crisis that could have been avoided if this administration had put people first from the start." Schuette has spent $4.4 million of the $5.1 million authorized so far for a 17-month probe led by special counsel Todd Flood. When he charged two high-ranking members of Republican Gov. Rick Snyder's administration, Schuette said it is "absolutely imperative" that the governor and lawmakers provide additional funding to "deliver justice to the families of Flint." While he has said not said how much more is needed for his investigation into the lead contamination of children and a deadly Legionnaires' disease outbreak, the GOP-led Legislature has authorized $2 million for the next fiscal year — $600,000 less than in the current budget. The agency deemed most responsible for the crisis — the Department of Environmental Quality, whose regulators advised Flint to not treat for corrosion after a water switch while the city was under state management — has spent nearly $3.8 million on outside lawyers, mostly for seven current and former workers named in lawsuits filed by residents of the city of 100,000. The tab also includes more than $1.1 million for criminal defense, including at least $463,000 to represent two officials who resigned in late 2015 but who have not been charged: former department director Dan Wyant and former communications director Brad Wurfel. Another state agency, the Health and Human Services Department, has spent $1.1 million, mostly for criminal defense services involving 18 current or former employees. Four, including director Nick Lyon and chief medical executive Eden Wells, face charges for allegedly not alerting the public about Legionnaires' disease that may be linked to the crisis or covering up a spike in Flint children's lead levels. A fifth, the ex-director of the Bureau of Epidemiology, cut a deal with prosecutors. The Treasury Department, which assisted Flint's state-appointed emergency managers who decided to use the Flint River as a water source and initially prevented the city from switching back to the Detroit-area system once problems emerged, has spent $90,000. It also has reimbursed the city $90,000 for the managers' legal fees. Legal bills for Snyder have been steep as well. The governor's office has paid $4.2 million to two firms, including $3.1 million for "records management issues and investigations" and $1.1 million to defend against civil suits. Critics say the wealthy governor should use his own money or a legal defense fund — which could include private, publicly reported donations — to cover his legal bills. But Snyder's spokeswoman said the spending is appropriate because the fees are related to actions taken in his official capacity as governor; there is a high volume of litigation stemming from the crisis; and the attorney general, who typically defends the governor from suits, is criminally investigating the administration.